visual content (photos and videos) exchanging is heating up. Instagram quickly replicates all the best innovations created by Snapchat, but this fact does not change the movement of the indicators of presence in its favor. Snapchat vs Instagram. Who is win? On the contrary, according to statistics, people began to spend 20% more time in Snapchat during the last six month. This is a good sign against the background of a slowdown in the subscriber base growth, compared to last year’s forecasts of specialists. It is known that in the second quarter of 2017 the average user of this network uses it for 32.8 minutes a day. In the first quarter, the same indicator was 30.3 minutes, and in the fourth quarter of 2016, and completely entrenched at 27.5 minutes. This defines a 20% increase during the time when the more popular Instagram presented its own analogue of the most innovative Snapchat’s function Snap (and called in Stories). It is also interesting to note that the increase was even more significant and amounted to 26% for the main age category Snapchat users (people under 25 years), while then spends 42 minutes a day now. A similar number at Instagram for the reporting period (take the same age and months) is 32 minutes a day. The reason probably connected with the overall involvement of Snapchat users. 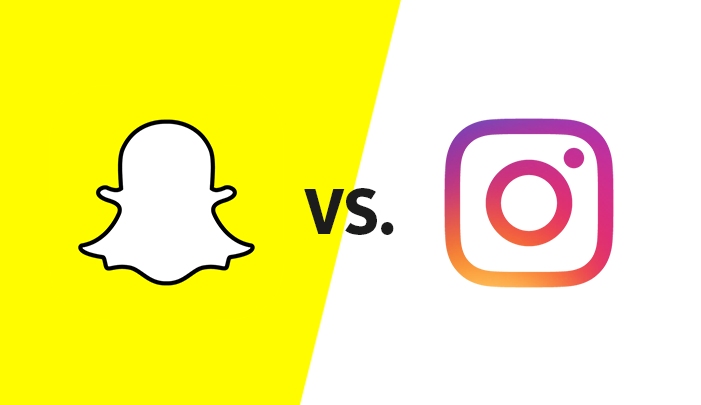 But all experts agree that Snapchat’s and Instagram’s Stories can coexist in parallel and there is no question of competition. Both functions are identical at the moment. Let’s compare in general. Instagram Stories is a separate way to publish photos and videos. The content published here will be posted in separate field and disappear in 24 hours. User’s profile also leaves no mention about it. The stories are located in a very noticeable place (noticeably the desire of Instagram to play at the expense of this instrument, bringing it to the fore). If several people publish their stories in one day, the tape of stories is displayed in chronological order, from new to old. When viewing a photo you can not watch the history for a long time (there’s a limit) and then you’ll go to another story. You can publish several files in a single story that people will see in turn. You can make the story in Snapchat, just adding the Snap into “My Stories”. Instagram adds that “viewers see the whole story, not just the highlights” and this is the contrast. Also, the Instagram tool is friendlier for marketing purposes by default. The reason is more rigidity of Instagram for business (which manifested itself over time), and any innovations of this social network will be viewed through the prism of sales by default. Application in marketing will find any innovation.For example, Stories help users make purchasing decisions faster, since the constraint factor plays into the hands. From this fact, you can build a whole strategy for promoting the goods and services. The main plus of the Snapchat is in the user’s long presence, which outweighs the problem of the base’s growth. The concept is: if a person stays here longer, he will see more ads. Everyone is happy. However, Shapchat’s optimists still need to think about why their base has slowed down the growth rate so much. And Instargram Stories even with all the similarity struck their blow, reducing the rate of use of Snapchat Stories by 20-40%.